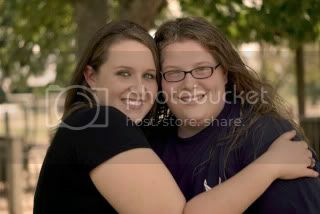 This is a picture of me and one of my long-time friends Kara. We were the best of friends in high school and wrote each other like the record amount of notes everyday...I had a 13 gallon trash bag half full of them!! Anyways I homeschooled the last year of highschool and we became Wives and Mommies and just so busy we hadn't even seen each other in over a year..or two! But we recently ran into each other at a birthday party then had a playdate with several other awesome mommies and their kids. Made me remember what it's like to hang out with friends, talk, relax, and let the kids romp and play together. I was glad to catch up with her and hope we keep on catching up!